Learning how to be bold even when you're afraid. Amanda Taylor, mother of four and widow of military veteran Captain Neal Taylor, decided to celebrate her 40th birthday by joining 450 other attendees at an Omega Institute workshop called "Being Bold Women and Power." Why did she travel all the way from North Carolina, leaving her four daughters at home, to spend time at this wellness retreat in Rhinebeck, N.Y.? To see one of her personal heroes, best-selling author Elizabeth Gilbert, talk about fear and creativity and how to be bold even when you’re afraid. “I think she is inspiring and challenges, especially creative types to just live their best boldest life,” Taylor said. 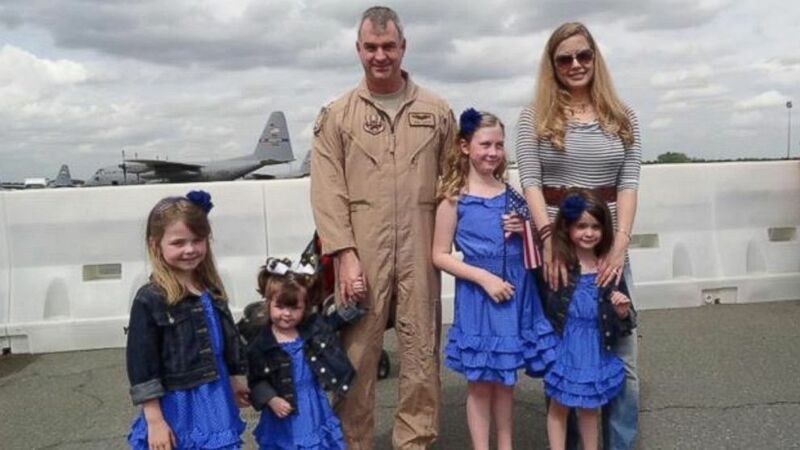 (Amanda Taylor) Amanda Taylor and husband, Captain Neal Taylor are seen with their children in this undated photo. Amanda met her husband in high school and they were married for 17 years before he passed away in 2012. That’s when her life took a drastic turn. “I had to redefine who I was and what kind of mother I was now going to be in the world to these four amazing children that we had together,” Taylor explained. “Early on in my grieving process, I found out the more that I did brave things that I thought I never could do, the more I felt like it was going to be okay and that anything was possible,” she continued. All of the speakers at the workshop had overcame obstacles that would have overwhelmed most people. Now they are using their voice for one sole purpose, to empower women to be fearless, to be bold and to tap into your creativity. (Heather Swanson Photography) Bonnie St. John seen with her Olympic medals. 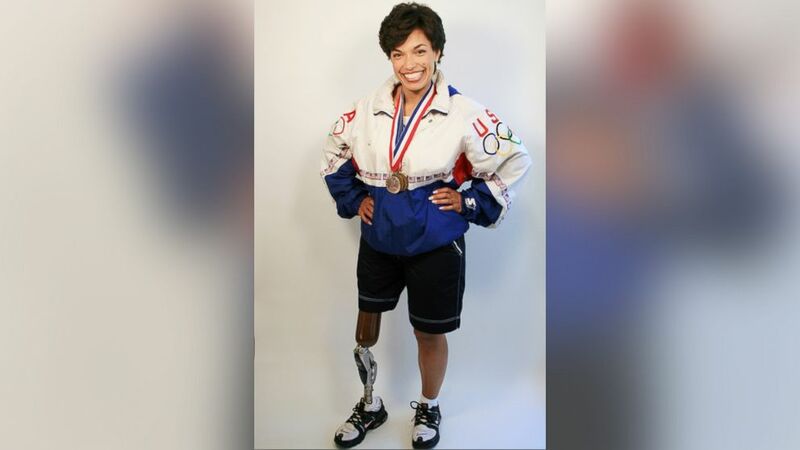 Bonnie St. John, 50, lost her leg at the age of five. Yet she rose above her physical disability and went on to become a legendary skier; she was the first African American to win medals in the Winter Olympics games. “I just always loved to dream. I didn’t always know if I could do something or not, but it was better to try, and maybe your life will be exciting if you just try something,” St. John told ABC News. 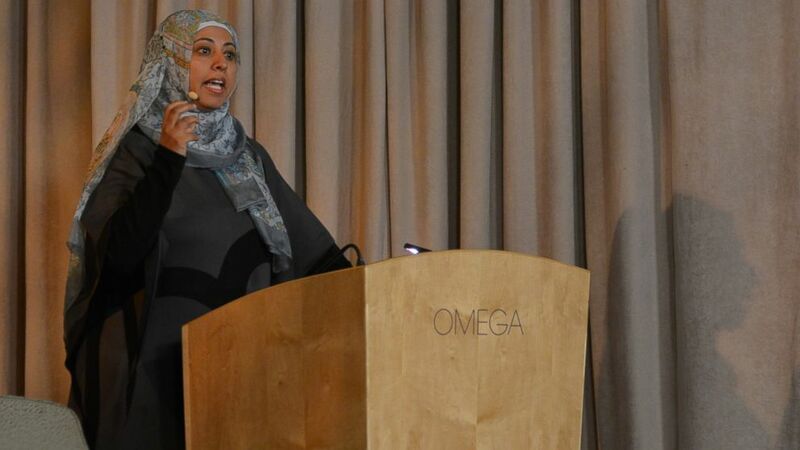 (Omega Institute for Holistic Studies) Nadia Al-Sakkaf speaks at Omega Institute. Nadia Al-Sakkaf is a symbol of strength and change. She became editor of the Yemen Times, the only independent English-language paper in a country where women have very few rights and are rarely part of the public life. After her father was murdered she had to prove that a young woman could run a media company, manage a staff of men and women, and become a leading voice advocating for freedom of expression and women’s rights in the Middle East. “I was blessed that I was born into a family that encouraged women, and my father was my role model in the way that he pushed for me and my sister to achieve the best that we can,” Al-Sakkaf explained. This year Al-Sakkaf and her family were forced to seek refuge in Jordan after rebels staged a coup in her country. “They actually attacked my office, they attacked me personally. I literally, had to run for my life,” she said. “Children haven’t been able to go to school for the last six months in Yemen. The entire school year has been lost,” she exclaimed. Al-Sakkaf says Omega’s retreat is helping her recover from the months of torment. “I feel like I lost myself fighting the larger battle of a nation. And this has been a very good moment for me, being here in this amazing place, and listening to the stories, reconnecting with my inner soul…like, ‘Hold on a minute, you can’t save the world, let’s start with saving you,’” she said. 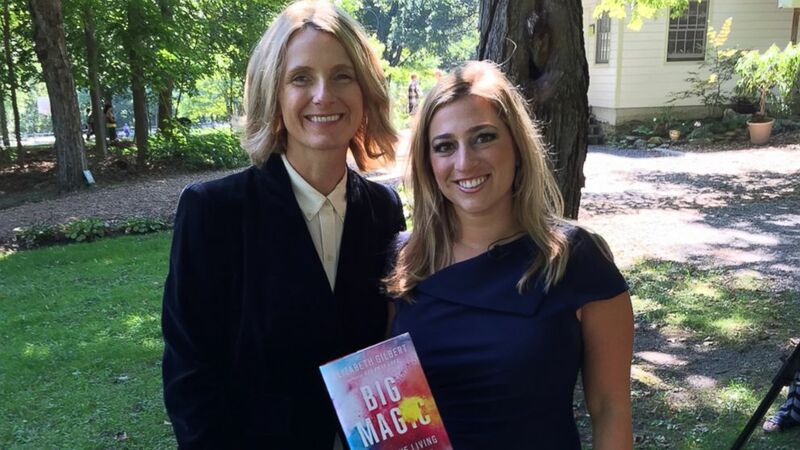 (Nicole Sawyer/ABC News) Elizabeth Gilbert at Omega Institute with Nicole Sawyer. Author Elizabeth Gilbert, 46, has inspired millions of people to tap into their full potential with her travel memoir “Eat Pray Love.” She did what many unhappy people wish they could do: leave an unfulfilled marriage, take a professional gamble, and travel the world to find her true power within. In her new self-help book, "Big Magic: Creative Living Beyond Fear," she explains that creative living doesn’t necessarily mean leaving your career, but rather finding time in your life to explore your curiosity. Whether you are afraid to turn your idea into a money-making business, tell your secret crush you love them, or simply start a hobby that makes you happy, Gilbert points out that our own minds create fear, and it’s the biggest obstacle to getting what you want out of life. “The terrorist inside your head is the most demonic presence in most of our lives,” explained Gilbert. Tackling your fears was the message that kept coming up like a drumbeat at Omega’s conference. “Fear doesn’t go away. It’s what you choose to do with fear,” St. John told ABC News. “If you’re alive and you’re pushing the limits of what you can do, you’re always going to be a little scared. Feel the fear, and do it anyway,” she added. Women-centric conferences are on the rise, from Forbes Women: Power Redefined to Fortune’s Most Powerful Women to National Journal’s Women in Washington event. 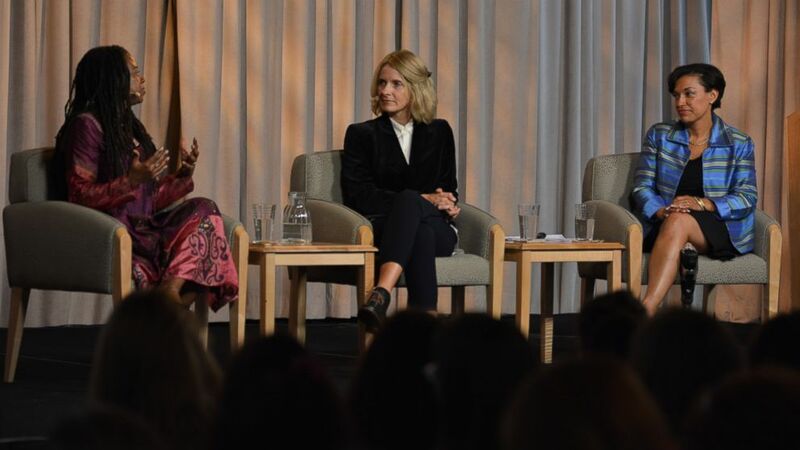 They follow a similar formula: women who’ve made it big in business and well-known celebrity types share the stage to celebrate their achievements, discuss decision-making and how to outwardly push for new career heights. This time however, Omega’s "Being Bold Women and Power" conference had an entirely unique tone. The goal: to redefine what it means to be bold and successful in today's world by finding your true power from within your soul. Instead of holding panels on self-empowerment, participants learned how to set-aside time for self-reflection and how to allow yourself to be vulnerable. “I love to be here where you’re allowed to say that I am more than just this hand puppet and meat walking around achieving things. I am also a soul, a child of God, intricately connected to every living thing on earth. Those are conversations that bring me to a much more interesting place than how can we mentor each other to succeed in the corporate world,” she explained. (Omega Institute for Holistic Studies ) Bonnie St. John, Elizabeth Gilbert, and Jamia Wilson at Being Bold Women & Power Retreat. Elizabeth Lesser, a co-founder of the Omega Institute, has hosted this conference for 13 years; she says the dialogue this year totally shocked her. “They all decided, 'Let’s get bold, let’s have a conversation about what it means to be a black woman, disabled woman, Latina woman, a white woman,'” explained Lesser. Participant Amanda Taylor told ABC News she is walking away with just that. “I learned that in order for me to take the next step and really have this bold, audacious life that I want for me and my girls, I need to let go and tell my story and let fear have its place but also not let it drive the car of where my life is going," she said.